Welcome to our review of the Leupold RX–1000i w/ DNA Rangefinder. How Far Can the Leupold RX–1000i Gauge Ranges? The Leupold RX–1000i has a maximum range of 1,000 yards for highly reflective objects. 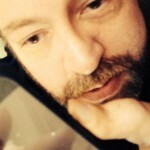 The range to less reflective objects is not so far, though, so you need to pay attention to how far you can reasonbly expect the rangefinder to operate. You should be able to get the distance to trees from at least 700 yards, and the device will measure the range to a deer from as far away as 600 yards. The accuracy of the Leupold RX–1000i is quite good, giving distances to within +/- a half a yard in my testing. How Easy is the Leupold RX–1000i to Use? Using this rangefinder is tremendously simple, because it does not have a bunch of modes that you’ll never use. Now, I say that, but I really do wish I’d gotten the True Ballistic Range model of the RX–1000i, because without TBR you can’t get equivalent horizontal distances accounting for angles to the target. Back to ease of use. The Leupold RX–1000i has a single operational button, with a mode button to switch modes. It is very easy to use this model, and it is highly effective at returning ranges. How is the Leupold RX–1000i Powered? The Leupold RX–1000i is powered by a single CR2 lithium battery, and the battery life is quite good. I’m at more than 8,000 measurements and counting, and the device is just now starting to show the battery life remaining at less than half. The unit powers down after about 8 seconds of inactivity, letting it really get the most out of the battery. All of that said, I really wish this rangefinder used AA batteries instead of the CR2 battery. I hate having to carry a spare battery just because I know I won’t be able to find one in the rural areas where I hunt, but there you have it. What Features Can I Expect From the Leupold RX–1000i Rangefinder? The Leupold RX–1000i provides 6X magnification with a simple-to-use interface devoid of useless or rarely used features. It has a quick set menu with one-handed controls, and the buttons are easy to press even when your hands are sweaty or the weather is at its worst. The display uses OLED technology instead of LCD displays, so the readout is reflected into the light path of the optical system. This leaves you with a crystal clear image and excellent light transmission capabilities. The Leupold RX–1000i has selectable reticles as the primary aiming point, so you can change the reticle depending on your preference. A small Plus Point reticle is great for varmints and other small targets, helping you to center the reticle without covering up the small body of those groundhogs or raccoons. You can also select the Duplix with Plus Point or the Duplex without Plus Point reticles, depending on your needs. Since this device does not have an LCD film stripping out light, the light gathering capability is fantastic. I’ve used this in both extreme low-light conditions and in bright sunlight, and the rangefinder has always worked perfectly and been easy to read. The OLED is adjustable, allowing you to set it to one of three brightness intensities. The optics on the Leupold RX–1000i are fully multi-coated, and the clicking fast-focus works very well. This device focuses on your target quickly and intelligently, allowing you to get a readout in less than a second. How Durable is the Leupold RX–1000i? 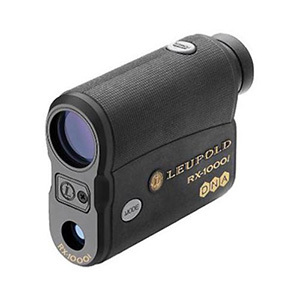 The Leupold RX–1000i is highly durable, with a carbon-reinforced plastic housing. It is rugged enough to survive the most dramatic of weather and terrain conditions, and is nitrogen-charged to keep it fogproof. The lenses are sealed with O-rings to keep water out, and the housing is weatherproof but not watertight. I wouldn’t take this particular rangefinder for a dunk, but it can handle heavy rain without any problems. Thanks for reading this review of the Leupold RX–1000i. This is a good rangefinder, but it is not one of the best. It lacks the features essential to bowhunters and long-range rifle hunters, such as returning equivalent horizontal distances taking into account angle of attack, but it does return a highly accurate line of sight distance. This device is great for casual use, but if you are a true long-range hunter you want a model with an inclinometer and the ability to use it.